Located in Tate Britain, Tate Library holds a collection of books, exhibition catalogues and rare items relating to British art and artists from the 1500s onwards, and international art from c.1900. This includes over 250,000 books and monographs, a collection of recent and historic exhibition catalogues, over 6,500 artist books and zines, artist serials, printed journals, documentary audio and video recordings, as well as microfilm and microfiche collections, c.a. half a million press cuttings, and printed ephemera relating to artists. Tate Library is free to use and open to everyone aged 18 or over. To make access arrangements for those aged under 18, please contact reading.rooms@tate.org.uk or call +44 (0)20 7887 8838. You can search or browse for items in the Tate Library collections using the online catalogue. Please note that some of our holdings – such as journals which have ceased publication, microfiche and microfilm, museum bulletins – are not recorded in the catalogue. Should you not find what you are searching for in the catalogue, please reading.rooms@tate.org.uk for further assistance. We advise that you request material in advance of your visit. You can request up to five items in advance of your visit by emailing your request to reading.rooms@tate.org.uk or call +44 (0)20 7887 8838. You can request additional material when you arrive using our hourly retrieval service which takes place hourly from 11:30 until 3:30pm. Material from our Special Collections are accessible by appointment. Material can be consulted in the public Reading Rooms located at Tate Britain, which also offers free wifi. Find out how to plan your visit. If it is your first visit we will regiser you as a Library Reader. Please bring ID in order to do this: Library Reader registration requires one form of ID. If you are consulting material from the Special Collections you will also need to bring separate proof of address with you. If you are already registered as a Library Reader, please bring your Library Reader card to show upon entry. All visitors will need to leave coats and bags in the cloakroom before entering the Reading Rooms. If you are consulting material from the Special Collections, please give you name to staff Reading Room staff, so they can direct you to the correct seating area. What can I bring into the library reading rooms? You can bring your own study materials and personal belongings. Coats, bags (including laptop cases), handbags, food, drink, and pens must be left in the cloakroom before entry. The cloakrooms and the library enquiry desk can provide you with transparent plastic bags to bring in personal items if required. The library can also provide you with pencils as pens are not permitted. How do I request material in advance of my visit? You can search the online library catalogue to select material in advance of visiting and check availability. The online catalogue also allows you to generate links to records. Once you have made a selection please email the relevant links to reading.rooms@tate.org.uk with the date you require the item/s by. You can request up to five items in advance of your visit. When will my requests be ready? We advise visitors to make advance requests for library material by email at least 24 hours before your visit. Requests made after 3.30pm may not be processed until the next working day. Same day email requests cannot be guaranteed, although you are able to place requests yourselves using the public PCs in the Reading Rooms. These requests are then processed in our hourly retrieval service which runs from 11:30 until 3:30pm. Please do not make special travel arrangements until your request has been confirmed. While we endeavour to ensure that all requested items are retrieved some requests may be missing and may not be available on the day of your visit. I’ve used the library before, am I still registered? Library membership lasts for one year. You will receive an email towards the end of your membership asking if you would like to renew. If you have used the library in the past but have not renewed in the last year you will need to re-register on the day of your next visit. Can I borrow books from Tate Library? The library collection is a reference collection and items cannot be borrowed with the exception of SCONUL users. Can I photograph, scan, or photocopy library materials? Flashless photography of items from the main Library collection is permitted, subject to copyright restrictions. A black and white self-service photocopier is provided in the reading rooms. This is coin operated with a standard rate of 20p per A4 sheet. You can collect change from the reading rooms enquiry desk. You must complete copyright form for all photography and photocopies. The Reading Rooms have no scanning service. I would like to donate my publication to the Tate library, how can I do this? Can I recommend a book for the library to purchase? I would like to bring a group to visit the library to view specific material, how can I arrange this? Does Tate Library lend books through Inter-library loan? UK and Republic of Ireland libraries must have a British Library Document Supply Centre (BLDSC) account. Tate Library charges in line with the BLDSC for items loaned. IFLA vouchers are accepted for international requests. Photocopy requests must comply with copyright legislation and can only be used for non-commercial purposes. Requesting libraries must hold a copyright declaration form stating this and signed by their user, or the request will be declined. All requests must be emailed to inter-libraryloans@tate.org.uk. Requests must include details of the item, a BLDSC account number (if applicable), a request number and delivery address. Please note that Tate Library reserves the right to refuse to lend any item. If you have any enquiries regarding inter-library loans please email inter-libraryloans@tate.org.uk or call the Serials Librarian on +44 (0)20 7887 8836. I’m unable to visit Tate Library, are you able to provide me with scans of book chapters? Tate Library is not able to provide scans due to copyright restrictions. Will the library research a topic for me? Due to time and staffing we aren’t able to research topics for you. We can recommend resources, provide assistance when searching the collections, and answer basic reference questions. In-depth research queries must be carried out by researchers themselves. Will the library identify, authenticate, or appraise art for me? Is it possible to borrow material from the library collections for exhibitions and displays? Exhibition and display loands procedures can be found here. Tate Library’s 150,000 exhibition catalogues comprise the core of the Library’s collection. The Library has a renowned collection of exhibition and collection catalogues dating from early Royal Academy exhibitions to the latest contemporary shows. 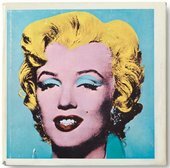 The collection is especially strong on international modern art, with the greatest focus on post-war European and American art. It includes catalogues of artists’ exhibitions, group shows, permanent and private collections. Many rare items are included in the collection, documenting the development of an exhibition culture in the UK and abroad. 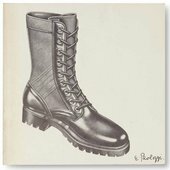 The collection is an essential resource for research on artists, in particular the early careers of major British and international artists. Our Library also holds a comprehensive range of art monographs including books on artists, and titles relating to aesthetics, art theory, art history, artistic practice, and museology. 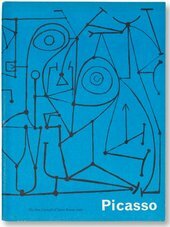 This includes a wide selection of critical and cultural theory, catalogue raisonnés, and representative surveys of artists and art movements. We hold a range of DVDs, CDs, VHS videos, microfiche, microfilm, including documentary and audio and video recordings of historical Tate events and interviews with artists. The Library holds around half a million press cuttings, collected mainly from British newspapers, weeklies and magazines from the 1960s onward. These press cuttings document exhibitions, individual artists, art related news events, and Tate activity. Although cuttings are not individually indexed, a general record (headed ‘Press Cuttings’) appears on the Library catalogue where there is a substantial amount of material on an artist or theme. You can search for these by entering 'Press Cuttings' in the title field and the artist's name in the words/phrase field of the Library catalogue search. 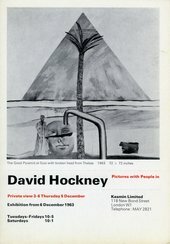 The Library’s printed ephemera collections include a range of private view invitations, artists’ CVs, flyers, small posters, and other ephemera. Ephemera is collected for individual artist exhibitions as well as group exhibitions held in London. Although items are not individually indexed, a general record (headed ‘Ephemera’) appears on the Library catalogue where there is a substantial amount of material on an artist. You can search for these by entering 'ephemera' in the title field and the artist's name in the words/phrase field of the Library catalogue search. 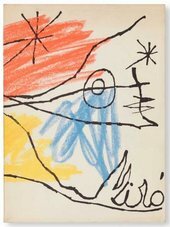 Tate Library’s Special Collections are comprised of rare, valuable, fragile books and catalogues, well as artist books and zines, artist serials, and discrete collections. Tate Library holds a collection of approximately 6,500 artist books dating from the 1960s onwards. These materials are international in scope and although it historically places an emphasis on British artists, it has expanded to include artist books from a range of geographic regions, specifically Latin America, Asia, and African countries. The books range in format and structure, and include flip books, tunnel books, concertina books, and books made from single sheets of paper. Some books are even made from materials other than paper, such as brick, vinyl, or fabric. From 2014, the artist books collections expanded to include zines. Zines are self-published documents with a history rooted in diy cultures and methods of production, created as an alternative to mainstream publishing. Tate collects zines which explore self-publishing in relation to art. This includes many different types of zines which are visual by nature such as perzines, art zines, photo zines, and fanzines which feature collage, illustration, and photography. In 2012 Tate, together with The British Library, the Victoria and Albert Museum and the University of the Arts London, took part in ‘Transforming Artist Books’, a research network exploring digital transformations in the creation and reception of artists’ books. As part of the project, Tate compiled descriptive texts about works in the collection. Some of the texts contain artist-generated information and all have suggestions for further reading, as well as new photographs of the books. These, as well as workshop reflections, can be found on Tate website. The final report about ‘Transforming Artist Books’ is also available online. 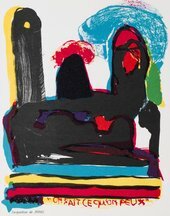 Tate Library holds approximately 250 individual artist's serial titles in the Special Collections. Artists' Serials are similar to artists' books and zines in scope, and also share similarities with serials in the Library's main collection as they loosely emulate the format of magazines and other types of serial publications. 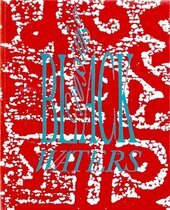 The Library defines Artists' Serials as independent publications created by artists which explore the format of serial publishing as an extension of their artistic practice. The collection of Artists' Serials is international in scope, although has historically focused on British and European titles. The collection includes key publications such as Aspen, Situationist Times, Spur, Centrefold, Assembling Box, and Engaged. The Beau Geste Press was founded in Devon in 1970 by Felipe Ehrenberg, Martha Hellion, David Mayor, Chris Welch and Madeleine Gallard. The Library holds approximately 150 titles from the output of the Beau Geste Press, and 65 titles from the Beau and Aloes Arc Association. The collection was acquired directly from David Mayor in 1980 and uses Mayor’s original inventory as the basis of its organisation. This collection’s importance lies in its documentation of a group that specialised in producing limited-edition artist books, publishing the work of its own members, but also that of many of their colleagues worldwide. The unique collection of David King spans the tumultuous period in Russian history from the revolutions of 1905 and 1917 to the death of Joseph Stalin in 1953. It was meticulously assembled over four decades by the collector and was acquired by Tate in 2016. Tate Library holds c.a. 2,400 volumes of rare books, 500 serials, and pamphlets from the David King collection. 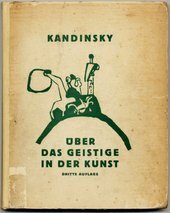 Amongst these holdings are a complete run of the famous Soviet propaganda publication ‘USSR in Construction’, which was published monthly from January 1930 until May 1941 and features ground-breaking designs by seminal figures of the Russian avant-garde such as El Lissitzky and Alexander Rodchenko. It also includes art work and archival material that forms a vivid visual history of this period which are held in Tate’s main collection and in Tate Archive. The Martin Parr Photobook Collection is a new library acquisition consisting of over 12,000 titles, and spans a diverse range of time periods, geographical locations, subjects, styles, formats and uses. It comprises many of the most iconic volumes in the history of photography, as well as unparalleled holdings of work by amateur or anonymous photographers. Over the course of the last 25 years, Martin Parr has built what is often considered the most comprehensive and prolific collection of its kind. Collection highlights include rare photobooks from Japan, China, Europe, Latin America, the United States of America and the United Kingdom. The Panchayat collection contains ephemera research material illustrating an important link between modern art and activism. Panchayat was founded in 1988 by Bhajan Hunjan, Shaheen Merali, Symrath Patti, Allan de Souza and Shanti Thomas to promote the work of South Asian artists in the United Kingdom and internationally. Panchayat was first imagined by the group as a project based arts organisation whose focus was to create an archive of work by contemporary artists who would produce issue-based work and work in multicultural environments. As the organisation developed it was involved in publishing, conferences, exhibitions and workshops. Panchayat’s collection includes books, exhibition catalogues, information files, journals, slides and videos. The collection was transferred from the University of Westminster Library to Tate Library in May 2015 as a gift and since then has attracted researchers from both the arts and the humanities to our collections, including a newer audience interested in diasporic connections and in the role of women of colour in the visual arts. Tate Library's journal collection consists of almost 2,000 individual journal titles. The print journals collection includes art periodicals, academic journals, newsletters, bulletins, magazines, and other serials. A small selection of current journal titles are displayed and available to browse inside the reading rooms. The library also provides access to electronic journals and online articles in the reading rooms via the public PCs. These include articles from Art Full Text and JSTOR which are not only art-focused but also include broader subjects such as history, sociology, and contemporary culture. 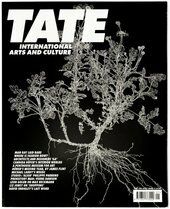 Tate Publications are held in the Library collection, and contain information about the institution, its history, buildings, activities and collection. 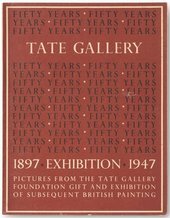 Tate Publications in the library include documentation and published guides to the collection since 1897, catalogues for Tate exhibitions from 1911 to the present, monographs published by Tate publishing, annual and biennial reports, catalogues of acquisitions, and histories of the gallery. Many Tate exhibition catalogues from 1911 to the present as well as other works published by Tate Publishing are available to browse in the Reading Rooms without needing to request. Unique items are held in the Library’s Special Collections.